If you fancy braving the freezing cold north, look no further than the hulking Barbarian! Clad in fur and skulls, this giant of a man will smash enemies to pieces! 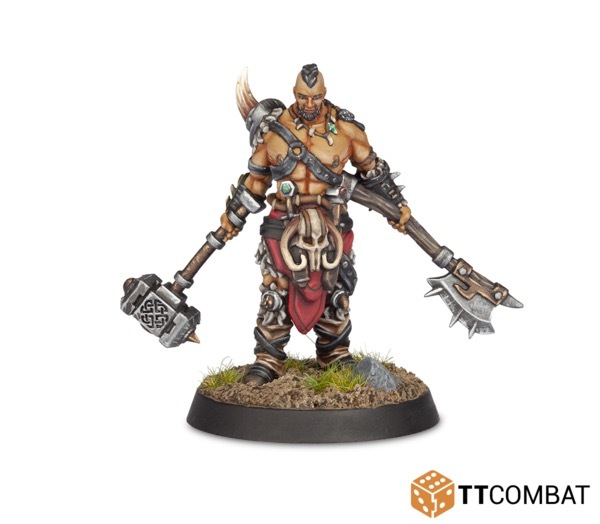 Perfect for any fantasy gaming, whether it's large regiments, smaller skirmishes, or even role-playing games, this 32mm scale Barbarian is ready to face down your foes. Resin miniature supplied unpainted and unassembled with a 25mm base.